Saying that India has so much to offer is an understatement. That’s why I struggle to comprehend why people travel there and only see the very most popular tourist sites in the city. Sure, these places are famous and lure in crowds for a reason, but there are places almost identical to them around every corner. Those places have something special. And offer something priceless while exploring India… peace and solitude. 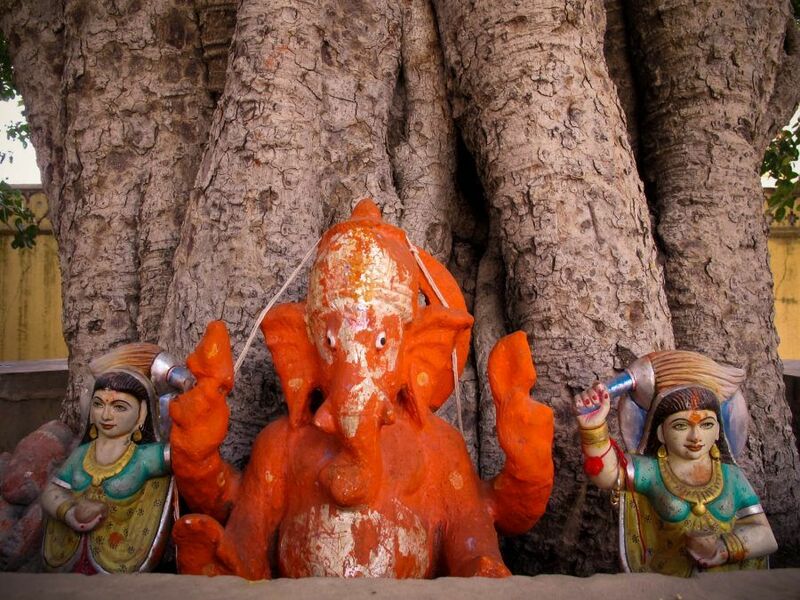 Ideally, I’d love to do a road trip around India and see everything, but that is for one day down the road. In Agra, for example, most people will head there and check out the three UNESCO World Heritage Sites and leave the city, or venture back to their hotel. 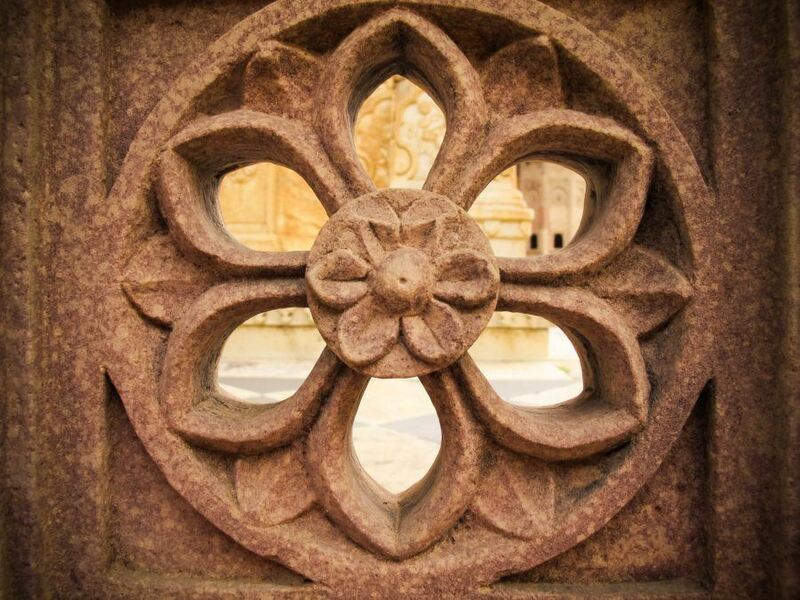 But what many people don’t realize is that Agra has heaps of tombs, palaces, and places worthy of one’s time. Don’t get me wrong, the Taj Mahal is worth every effort spent getting there (it may be the most stunning man-made site I have ever seen, to be honest), but there are other sites worth seeing in Agra, in addition to the three UNESCO sites. Due to my time constraints, I wasn’t able to add them all to my week itinerary for Nepal and India, but I did my best. The same goes for Jaipur. 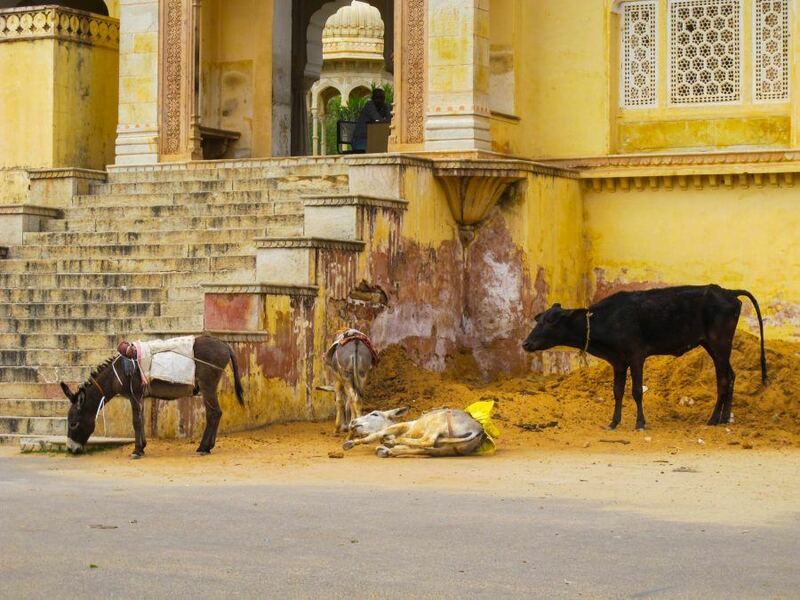 Most tourists do the same- Amber Fort, Hawa Mahal, City Palace, Nahargarh Fort, and anything that has to do with the poor treatment of elephants. The entrance fees become pricy and the crowds are endlessly insufferable. If I had a full week or more in Jaipur, I would have felt more compelled to see every single site. But I didn’t. I had merely a few days. And I didn’t know of any Indian travel bloggers at the time that could set me on a good travel path with an itinerary, so I was left to make my own! 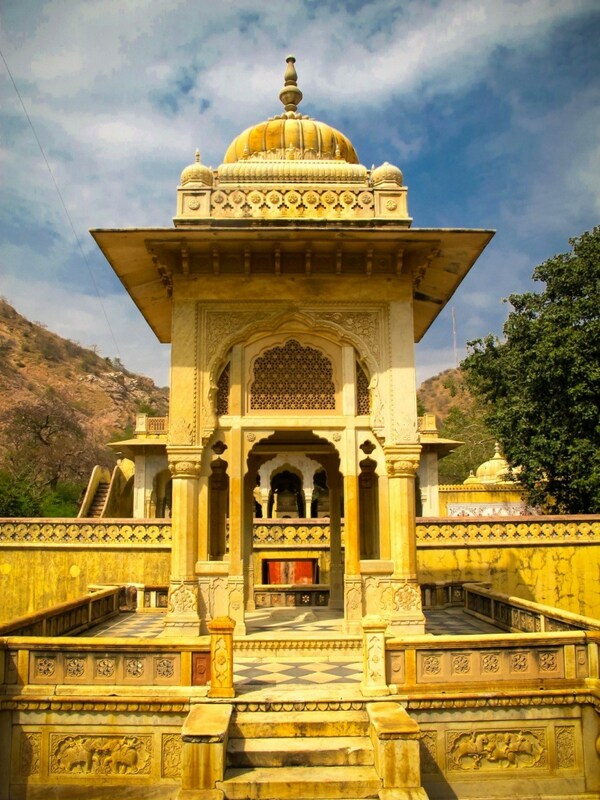 The Royal Gaitor Tumbas is exactly as it sounds- a tomb for many maharajas. 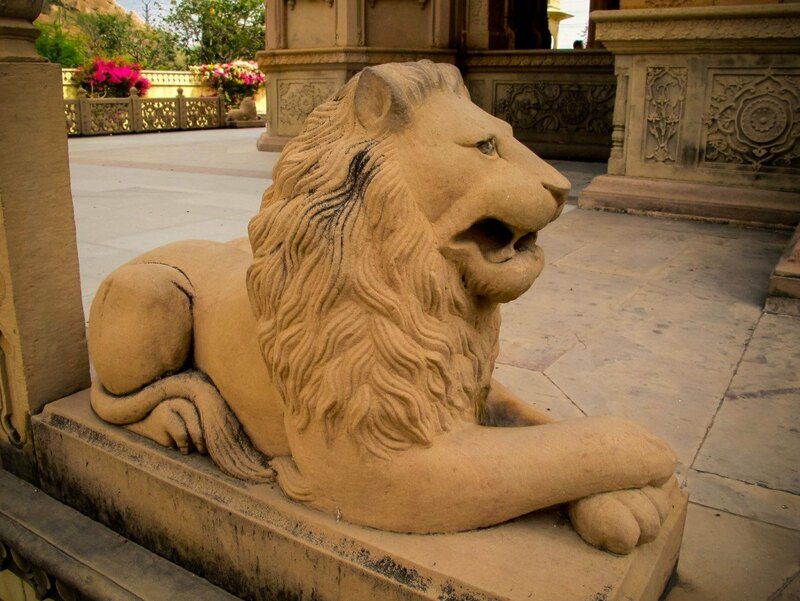 Some of the maharajas include Pratap Singh, Madho Singh II, and Jai Singh II. 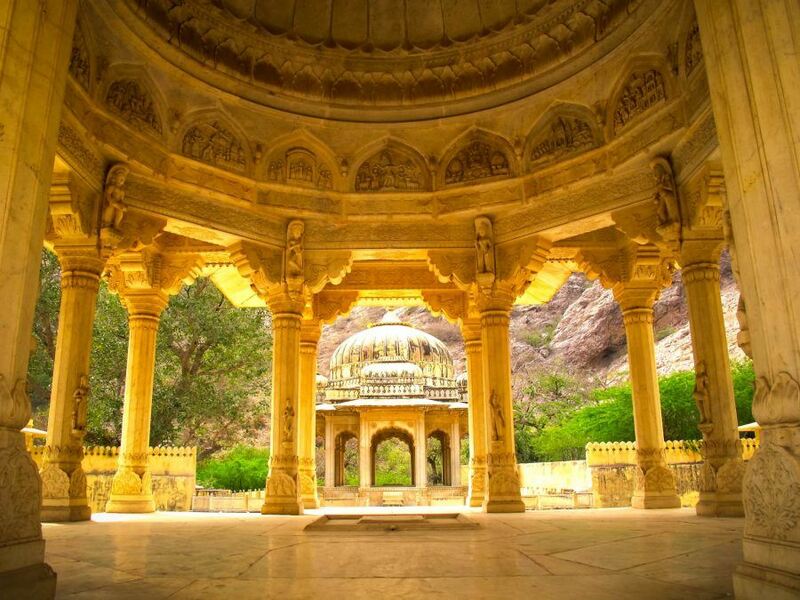 The site is situated beneath the Nahargarh Fort nestled in a cove between several desert foothills and truthfully, it feels neglected and undiscovered. After pulling up to it, we could tell we would have the ornate place to ourselves. With the exception of a few goats, cows, and donkeys. In northern India, this feeling is rare. But grand. The entrance fee is around 30 rupee for foreigners (or about $.50), and yes, there will be a few men asking if you’d like a tour guide as usual. But the Royal Gaitor Tumbas will offer a peace and calm that is hard to come by in the tiring, and sometimes distressing, streets of Jaipur. Easily seen in less than thirty minutes, I have read that many rickshaw drivers will opt not to take travelers thereby stating that it is not worth it. But, as someone who needed a little bit of solitude after a hectic day around the Pink City, trust me- it was well worth it. Particularly because it was the first place in India where I didn’t have to listen to incessant horns beeping and could actually hear my own thoughts. 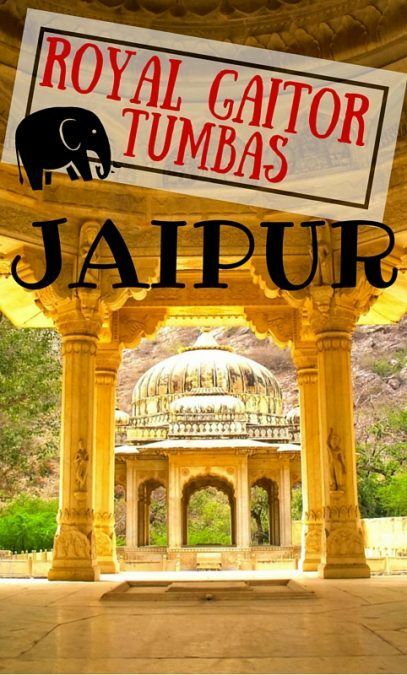 Jaipur was an amazing and complex city on all levels, but I must say that out of everything I saw, the Royal Gaitor Tumbas was undoubtedly my favorite. Royal Gaitor Tumbas is open daily from 9am-5pm. 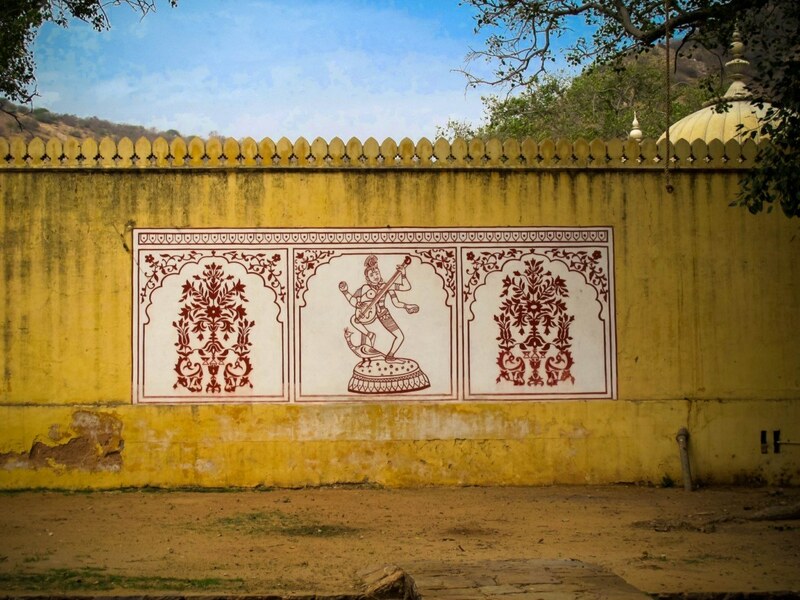 Have you been to Jaipur and found a place that seemed a bit undiscovered? Wow, the architecture is just stunning! I love how they fit so much detail into the simplest things. Really happy to read what you wrote about the beautiful art present in every nook and corner of our country. It makes an Indian blogger like me really happy to see a non-Indian blogger praising the architectural heritage of India so much. 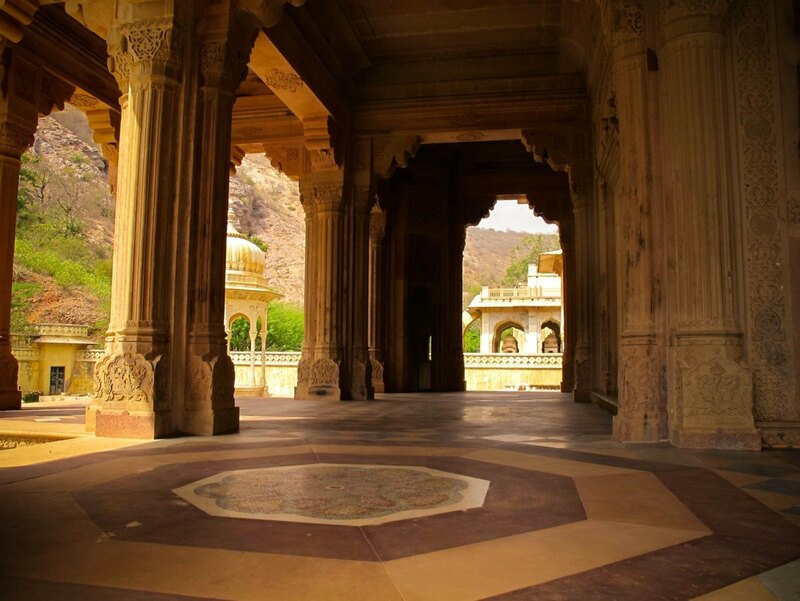 Jaipur is also one of my favourite cities in India and I visit it often because there is something really mesmerising about this city. Do visit Udaipur also next time. You will love it too. This is stunning. If I ever make it to Jaipur, I will definitely keep this in mind! Wow, how stunning!! I am dying to go to India. it is an amazing place! def go there when you have the chance!